"Encompassed by vast acres of lush greenery, Heritage Village Resort & Spa Manesar is a popular heritage style hotel in Gurgaon that delights guests with a comfortable decor as well as the state of the art business facilities to its guests. It is one of the prominent heritage style hotels in Gurgaon and is the proud recipient of the National Tourism Award, instituted by the Government of India. 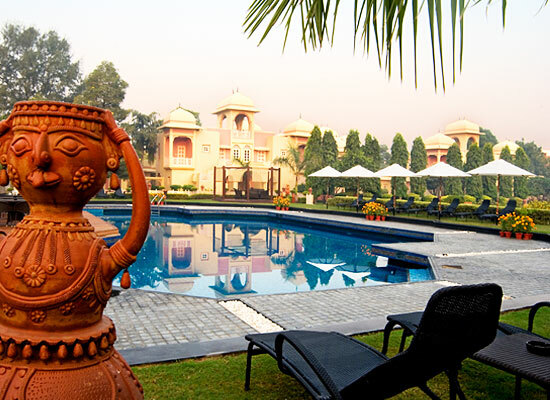 The Heritage Villa Resort & Spa Manesar is a Rajasthani haveli style palatial resort and is conveniently located on NH 8 Delhi-Jaipur Highway, which is approximately 30 minutes drive from Indira Gandhi International Airport. 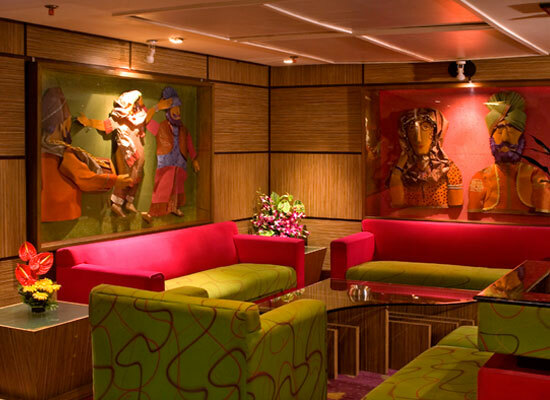 It exudes the luxury and flamboyance of its interiors. It offers a stupendous blend of landscapes and vibrant colors of Indian ethnicity and international articulacy. Accommodation at Heritage Villa Resort & Spa Manesar, Gurgaon is offered in terms of 154 rooms and suites that have been constructed in the design of “rooted contemporary”. 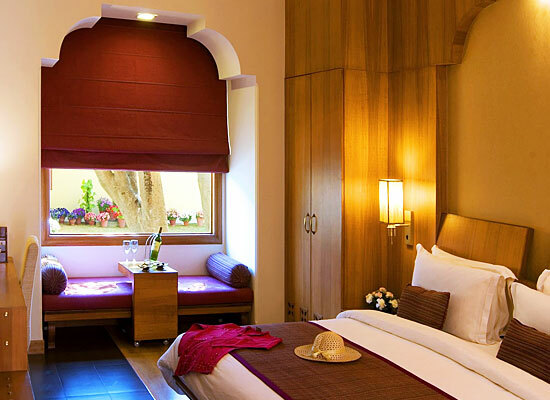 These guest rooms are classified as follows- 80 Heritage Rooms exhibiting palatial influences of Rajasthan, the 63 Design Rooms and 11 Suite rooms. The dining outlets at the Heritage Village Resort & Spa Manesar will let you sample some great international cuisines and Indian flavors at our restaurants. The Jharokha offers a lavish buffet with a choice of traditional Indian flavors and international cuisines. 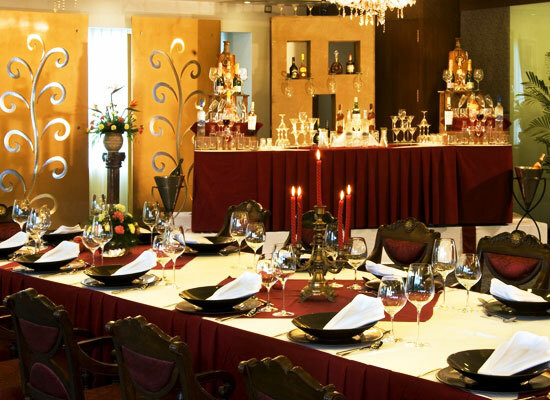 This multi-cuisine restaurant offers a seating capacity of 80 people with a la carte meals and open round –the-clock. The entire wall art depicts a Jharokha, adorns the facing double wall of the restaurant. The restaurant derives its name from “Barahandi” which means 12 serving vessels from the 12 earthen pots in a rural style. This outdoor Dhaba style restaurant serves authentic variety of Indian food. The restaurant is operational in the winter season for dinner only. Developed around the Sun Motif, Surya Mahal is a specialty Indian restaurant is designed to look like a modern day interpretation of an ethnic Indian restaurant. Apart from lavish buffet, the restaurant also serves a-la-carte meals and remains open throughout the clock. Offering a delightful feeling of warmth and freshness, Bhangra Beat is a hip, stylish and contemporary in design. It offers a fine blend of Oriental, Mediterranean and Middle Eastern Cuisine, with dips and side dishes. Located at the lobby lounge, the Tea Lounge offers an exotic array of teas across the globe. 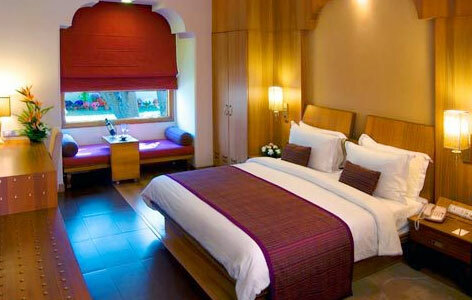 Manesar is located in the Gurgaon district of the State of Haryana and is a part of the National Capital Region (NCR). It is home to many factories, hotels, offices and educational institutions. There are various sightseeing spots around the area, some overlapping with Gurgaon.